Finished the first version, it works (I used it for my Christmas postcard), but the speed is not really good. Should rewrite big parts to make it faster. Stalled as I was rewriting the refraction code of the rewritten inner loop. Will probably savage something, someday, but just don't know when. C code just for looking at how my theorem applies to some artificial models. I got some insights on further development while looking at 5x5 models. 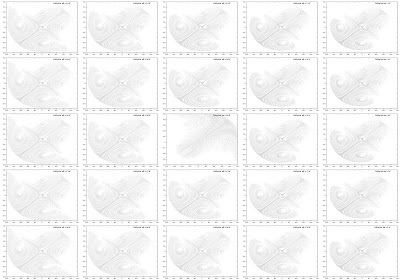 Re-used some code from my postcard gluing code to create the projected lattice images. Works pretty well. Should add some automated processing via some bash scripts to use it quicker, and solve a small problem with includes. gp-pari code to find transverse intersections for the Cohen map. I have the Taylor expansions code by hand, should write it and do a MAJOR rewrite of all code. Need to improve the algorithms used before even thinking of publishing. Has some bug I still have not found. Not working on it since January. An idea I have. Should work it on pen and paper first. I bet against myself 10€ that I have forgotten something in this list.